When people are in severe pain following surgery, or are suffering from chronic pain due to terminal medical conditions, they’ll often receive a prescription for a painkiller called morphine. 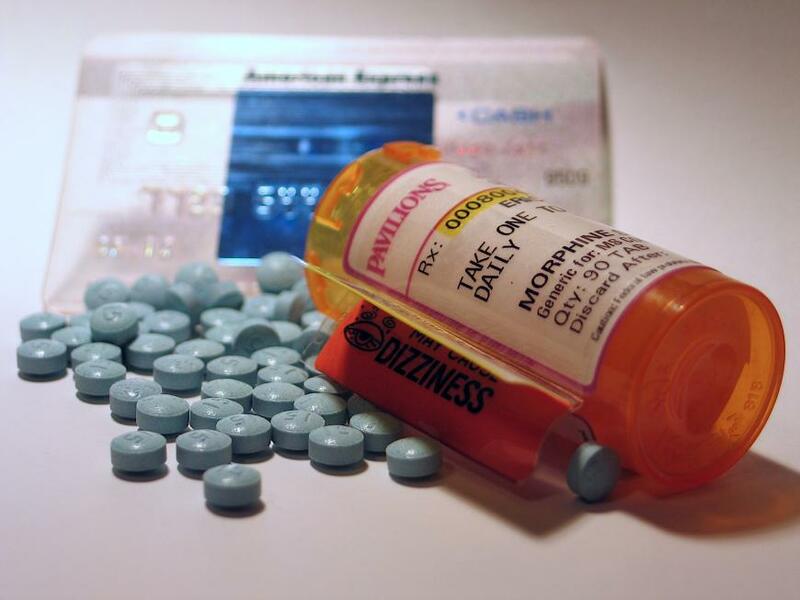 Morphine is classified as an opioid analgesic. When taken in high doses, it can cause respiratory distress and even death. Once users become addicted, and start combining the drug with other substances such as alcohol, the effects can be just as deadly. A morphine high gives users a euphoric feeling, as well as induce a sense of numbness that relieves the pain that they’re in. In this blog we are going to discuss morphine, and what you should know about the drug due to its side effects and high potential for becoming addicted. Why are Morphine Prescriptions Given? When individuals are in a severe level of pain, they’ll receive a prescription for morphine so they can feel more comfortable and find some relief. When other pain medications are unable to control severe discomfort, morphine extended-release capsules or tablets will be used as an alternative. The only time these capsules or tablets should be used for treatment is if other medications that can be given aren’t relieving the pain. The drug should not be casually prescribed. How is Morphine Used Most Often? Under most circumstances, morphine is given on an as needed basis for pain that requires control around the clock. Due to its highly addictive nature, doctors typically won’t prescribe the drug unless your body has developed a tolerance to other opioid medications. Morphine is an incredibly easy drug for users to make a habit of. This makes it essential that patients take only the amount that their doctors prescribe in order to avoid developing a tolerance to it. Because it is such an effective treatment for severe pain, scientists and physicians are continuing to research the benefits of prescribing it despite the growing risks of addiction. As this research continues to develop, scientists and physicians hope to gain more insight on how to better manage the drug’s addictive qualities. What are the Long-Term Side Effects of Using Morphine? Under most circumstances, when someone is using morphine, the short-term side effects will begin revealing themselves between fifteen to sixty minutes after the drug has been taken. These side effects can last between four and six hours. The majority of the side effects that are listed above describe someone who is experiencing short-term side effects. However, those who are long-term users, or chronic morphine users, will eventually see other side effects begin to develop. Some of these symptoms include extreme constipation, their immune system becoming suppressed, restlessness, collapsed veins if they’re injecting, and depression. Are There Warnings Regarding Morphine Usage? When morphine is used for an extended period of time, it can easily become a habit. If it isn’t taken precisely as it is prescribed, it is possible that users will lead themselves to addiction. It is critical that patients do not take it more often or in a different way than it has been prescribed. When taking morphine, it’s vital that you discuss your pain treatment goals, management, and treatment length with your healthcare provider. In doing so, you’ll avoid risks for addiction. Your physician should know if you or your family member who is using morphine is drinking, or has ever indulged in a considerable amount of alcohol use. They should know if there is current or past use of illicit or prescription drugs. Your physician should also know if there are current or past issues with depression or any other mental illnesses. If you or your family member has had any of these conditions, there is a higher chance of overusing morphine and suffering from addiction. Is it Possible to Determine if Someone is Abusing Morphine? The individual is having difficulty controlling how often they’re taking morphine, or how much of it they’re taking regularly. They’re using morphine longer than the prescription dictates. They’re unable to stop or cut back on using the drug despite their desire to do so. They spend a considerable amount of time attempting to obtain morphine. Their cravings for morphine are intense. Their use of morphine becomes their top priority, and all other responsibilities fall to the side. Use of the drug causes their interpersonal relationships to suffer. They no longer have interest in any other activities. They continue using the drug despite dangerous results and adverse outcomes. Their situation continues to worsen surrounding their usage of morphine. If you know someone who is abusing morphine, there is always help available. Scottsdale Recovery Center is a center focusing on rehabilitation, sobriety, and recovery for those suffering from addiction. Our treatment facility aims to provide a higher quality of treatment processes in conjunction with a higher quality of living as individuals achieve sobriety. Those who are suffering from morphine abuse are often suffering from depression or other mental illnesses, and often benefit from our dual-diagnosis treatments. Call today, and find out which program might be best for you.